What Will Preschool Do To My Son’s Spanish Skills? My son is only 17 months and I find myself already thinking of preschool applications! Yes it is true, if I want Enzo to start next year, I have to apply now. I cannot believe I have to start thinking about what school I would like him to attend next year. I mean, I feel like I am just discovering what kind of kid he is becoming! As I have started this process, I have so many thoughts about sending him to school. The good points are that, he is going to have some structure to his day and he is going to be socializing with other children his age. Another advantage is that his Abuela, who babysits him, would get a break. But I do have doubts about sending him to school at 2 years old. (He would be 2.5 when he starts. )My questions are: Is he too young? Is he going to get sick all the time? Is the day too long? The most important question is “will putting my son in school at 2 instead of 3 hurt his Spanish language skills?” I wonder, wouldn’t he be better off developing a more solid base in Spanish until he was 3.5, and then be exposed to English in preschool? Right now, I can’t answer this question. First of all, because I cannot anticipate what his Spanish language skills will be a year from now and second, because I just do not know how he will react to the introduction of English in a school setting. In my perfect world, I would put him in a dual language preschool program, but I have yet to find one of those in my area for young children. My son currently hears Spanish and French at home. He hears English on TV and in a weekly sports or music class, so exposure to English is limited. Exposure to French is limited as well, since his Papa is the only one who really speaks to him in French on a daily basis, whereas Abuela, babysitter and mama speak in Spanish. Enzo also says a lot more words in Spanish than in French (and he has learned some words in English, like “POP” when he is watching the Fresh Beat Band!) If I send Enzo to school at 2.5, am I just going to confuse him too early? Is waiting that extra year worth it? When I went to Pre-K I was 4 and I did not speak any English, but I was a lorita in Spanish. I really do not remember having a traumatic experience in the classroom, where I did not know how to go to the bathroom, or did not understand what I needed to do… I might have had those experiences but, thankfully, they were not memorable enough to have scarred me for life! So, if you had asked me about this issue months ago, I would have just said, he will go and figure it out… but the post by Marika Lynch brought up some interesting points, which I hadn’t thought about—Enzo doesn’t know the common words for “potty” or “water” in English. I imagine that explaining to him that he is going to go to a school where the maestra is only going to speak English to him would be easier to do at 3 than at 2, hopefully limiting any potential traumatic experiences?? At this point, I think that I have to apply and see what happens. I can always see how I feel about Enzo’s language skills when he is 2 (also, there is no guarantee that he will be “accepted”). I have thought about other possible options: a part time program, where Enzo would go to school two mornings a week, or two full days, thus giving him SOME exposure, but at a slower pace. I have also thought of finding a family care program (in a person’s home) where the teachers speak Spanish. I am hoping I will have a Eureka moment when I will figure out how to get the best of both worlds. Diana Limongi-Gabriele is a Latina New Yorker with proud Ecuadorian roots, married to a Frenchman. She is mommy to Enzo, a French/Hispanic/European/American (one day trilingual) 17 month old boy. She works hard juggling a full-time job, motherhood, family, grad school and her blog: Ladydeelg.tumblr.com where she writes about issues she is passionate about, including teaching her son Spanish, parenting, Latino issues, good quality food and motherhood. 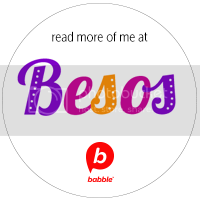 Words on Wednesday and more on SpanglishBabyPlayground! Diana, I so understand your concerns. We sent our DS to preschool at barely 2 (September birthday) and not really speaking English much at all, to a half day program (8am-12noon) and it was an all English program and he was the only Latino student. To be honest, it was not great year. He bonded well with his music teacher, but the other teachers seemed to kind of ignore him and he generally didn’t want to go to school. His English improved a lot, but if I had it to do again I don’t think I would have sent him to that school. This year (he just turned 3) and is in a dual language montessori program that he loves and so do we. He spends 3 hours in the morning in mostly Spanish and 3 in the afternoon in mostly English. He is much more confident now and I really don’t know if that is the age difference or the difference of school, but I think it is both. He speaks Spanish very well and English pretty well. All in all I would advise you to make sure that your child goes to a school where there are other Spanish or French speakers, since those are his home languages. That way if he is tired or doesn’t feel well he has someone he can express that to easily. The connection between my son and his teachers this year, who speak his mother tongue, is so different than the adversarial relationship I worried over last year. Even if it isn’t a dual language program, having a teacher in the classroom that understands him can make all of the difference in the world. I am still sorting it out, but my hope is that i will be able to find a good fit, being that I am in NYC I think i should be able to find a place that has other children who speak other languages, and teachers who know how to deal with these circumstances. On a side note, the more I think about it, the more I think it is unfair that for some schools, I have to make these types of decisions NOW, a year ahead! I mean, my kid could be a totally different kid by then!! thank you for sharing your experience!! Dear Diana, one thing of which I can assure you is that your child will NOT be confused by learning two languages, no matter what age he is. As you can already see, I’m sure, he is learning two languages at home and is not confused. Children are born with an innate capacity to learn many languages. When they are provided with meaningful and authentic experiences to hear and practice their languages, they are likely to acquire them and eventually distinguish them as well as know to whom they should speak each. That said, if Enzo has plenty of opportunities to be exposed to and speak Spanish, he will continue to grow his Spanish proficiency. It is true that he will acquire more English in preschool, and it is likely–and normal–that he start to speak more English once he learns it. However, it will be your challenge to engage him in his Latino culture, which includes interacting in Spanish. As for the duration of the day, I have a 7.5 month old emergent bilingual daughter who spends 8 hours per day in childcare because she has two working parents. It is typically more difficult for parents to leave their children for so long. My wife and I wish we had other options, but we do not. Keep searching for those bilingual preschools! They’re out there. Best of luck to you and your family, and keep asking these important questions! Thank you for your comment! Perhaps i didn’t explain myself well, what I meant was an initial confusion at school, not confusing the languages. I am starting to lean towards a part-time experience at 2 years old, and full-time at 3. I think I prefer that he obtains a solid foundation in Spanish (and he also currently learning French). I am lucky! I have the opportunity for him to be immersed in Spanish for another year. Thank you again! I really appreciate your comment! Diana, I can relate. When my son was 2.5 I was already looking into kindergarten options because that would be determining what daycare I wanted him to go to. At 2.5 his Spanish was very strong as he spent the day at home with grandpa. His English (DH’s native language) was good but not as fluent as his Spanish. We looked into a Spanish immersion daycare so he could continue to be exposed to Spanish (my dad was going back home) but we were not in love with that school. We chose a Montessori school (English). He was 2 years 9 months when he started and he did very well (well, drop off were hard on everyone for a little while) and adapted fast. His English grew and became very fluent. However, his Spanish did take a hit and became his second language ever since. We work full time and I am his only Spanish source (besides 1 hr of Spanish at school), so his exposure is very limited. Hi is 4 now and he does speak Spanish with me and it is almost native like, but his vocabulary is limited compared to a native speaker his age. To be honest, I wouldn’t send my kid to preschool that young unless I really had to. I think they are still too young and don’t need the structure or “socialization”. Those things can be acquired through other ways. However, it depends on when your son will start kindergarten. Will he be doing 2 or 3 years of pre-k before kinder? I wouldn’t do more than 2 years, but that is just me. If you do send him to pre-k next year, make sure you find additional opportunities to expose him to Spanish, especially if he will be going to an all-English elementary school. I wouldn’t worry about him not being understood because of his language. Kids learn fast! If you are really concerned, make sure he know the English words for the important needs. I remember I talked to my son’s teacher and told her what the words my son used for potty. I too was concerned about that. Sorry about the novel. Good luck! 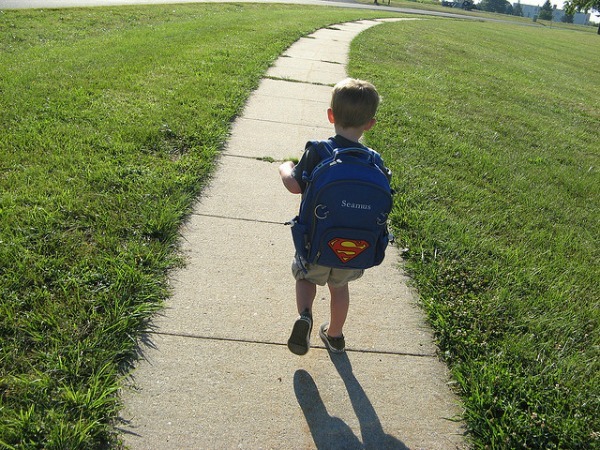 I guess if he went to school next year, he woudl be doing two years (2 and 3) before Pre-K at 4… then Kindergarten! I’m looking into schools/daycares/programs with Spanish included. Diana, I agree with those above that say your child will not be confused. I look at my little boy every day (he’s a little over 2 years old) and am amazed at how much he observes and is able to pick up with very little “teaching.” Your little one will go off to preschool possibly not knowing some words or which words to use in which situation, but will most likely come home after a week or two knowing all the words he needs to know. Any confusion he experiences will most definitely be short-lived……those little minds are beyond amazing and can sort out things that adults might think would be impossible!!! And just like you, any hurdles he encounters, he probably won’t remember them – as long as he’s in a caring school! I completely understand your concerns on not wanting him to go until he’s older so he can develop that Spanish base first. I have exactly the same qualms….only, I think I may be in a little bit of a different situation as I am afraid my little boy is going to be the opposite of confused and more on the side of preferring one language over the other. While I know it’s inevitable that he’ll prefer one language (probably English), I just don’t want him to “reject” Spanish. He stays at home with his pápi every day and his pápi speaks Spanish all day long with him. I even speak Spanish to him and he hears his pápi and me speaking Spanish to each other almost exclusively. But we ARE in the States and so any television is in English, his grandparents here speak English, I speak English, etc. I’ve noticed since he’s been talking that he’s picked up on English words more (probably b/c they are shorter – why say “ayuda” when he can say “help” – 1 syllable vs. 3.). There are times when we tell him “can you say ‘casa’” and he’ll respond with “house.” I really, really, really want him to keep speaking Spanish and enjoy doing so, but I’m so afraid that when we do send him to preschool he’s going to “forget” all his Spanish! I know that’s pretty much impossible since it’s his pápi’s first language (and preferred one), but I see so many young people in the U.S. who grew up in Spanish-speaking households, only to turn their back on Spanish once they learn English. I’d love to send my son to a Spanish-speaking preschool, but unfortunately, I don’t live in a big metropolitan area that has those kinds of choices when it comes to preschool. This is probably my biggest concern. hi Helene! i just discovered your french foodie site today, thanks to Karen Le Billon! I am so excited to check it out!! thank you for the info on the bilingualism lecture, I am all registered! I can’t wait! Yes, the more I think about it, the more I am leaning toward waiting until Enzo is three for him to attend preschool. I am trying to find part time options, and I did just hear for Spanish immersion day care, so I am going to look into that as well! we should stay in touch, as we are also trying to teach Enzo French, Papa speaks French at home! Merci beaucoup! hi Helene! i just discovered your french foodie site today, on Facebook thanks to Karen Le Billon! I am so excited to check it out!! This will be quite an adventure! so grateful that we have resources at our disposal such as Spanglishbaby and other communities to help us in this journey! We should stay in touch, as we are also trying to teach Enzo French, Papa speaks French at home! 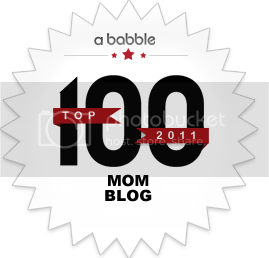 it’s so great we have places like Spanglishbaby where moms and dads on this journey can help each other out! i messed up my comment reply to you on the website, so i just wanted to copy it and send to you directly! I’m actually the one living in L.A. My daughter goes to the Spanish immersion program in Glendale and we love it! I hope you’re able to get your boy in one too! Thanks for the link to the conference! 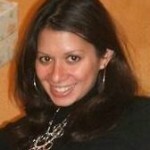 Hi Ana Flores, glad I found you as well! Does the Spanish immersion in Glendale do preschool or only pre-K and on? It’s in the public system, I believe isn’t it? I found a great private Spanish immersion preschool in North Hills, The Language Garden, for 2-4 approx, reggio inspired approach, I visited it a few times, it seems really wonderful. Was going to check out another in West Hollywood that does both French or Spanish immersion… we’ll see. Let’s keep in touch! I am attending the conference, would be happy to report back!! This is our experience in case it helps. I have a 6 year old son and a 3 years old daughter. Both of them have been attending to day care/preschool/school full day since they were 2 months old. My husband and I are from Spain and we only speak Spanish at home. So they’ve grown up learning both languages at the same time from the beginning. This has not been a problem for them. It is easier for our son since languages seem to be specially easy for him. There are times that one of the languages seems to be advancing faster than the other, but overall they’re pretty much billingual. We do have to make an effor to fill in for all the vocabulary they learn at school so they can have the tools to communicate in Spanish. And the words “en espa#ol…” are very frequently used as a reminder in our house. Most commonly when they’re playing together on their own. Two things that had help a lot with our kids Spanish are: 1. We go back home once a year. And right after our yearly trip, Spanish is the dominant language for them. 2. We watch as much TV as we can in Spanish. Lots of DVDs instead of straigh up TV! Good luck! Thanks for sharing your experience Blanca! I think trips to Ecuador will definitely help! (helped me as I was growing up!) In my case, I probably won’t do a yearly trip, as we also have to travel to France to visit his Papa’s side of the family. as for TV/dvds, try to do Sesame Street, Dora and Diego in Spanish, but i will admit sometimes i just put Nick Jr in English on… I have found Youtube is also great for some Spanish videos. Dear Diana, Thank you for your thoughtful post and you’re not alone in this. I know I had the same concern, since I speak Polish with my children, my husband speaks German and both of the girls (3 years and 18 months) have been going to a Dutch daycare since they were 6 months old- for 2, and later 3 days a week. They are not confused at all, and it helps to have talks with the children: “You see, mommy calls this like this, daddy like that and the teachers at daycare call it that”. What you might encounter is that your child might not begin to speak English until he has a strong base in Spanish- this is exactly what happened to my big girl- and she now speaks Polish and German, with Dutch lagging behind a bit but I’m not worried because she’s still working on her other language. My friend’s children however, who are of the same age, speak mostly Dutch, then English (their mom is American) and Italian lagging behind a lot (daddy’s language) Don’t worry about looking into preschools now- it might take a while to make a good decision on the right pre-school. But your child will not be confused! Instead he might have the “silent phase”- just what I described above, but it is not always that way. He is going to benefit from a bilingual education. Good luck! hi Olga! thanks for sharing! i love your idea of explaining how mommy calls it one thing, daddy another and the teachers another. I too worried sick about putting my son in preschool. Before school he spoke only Spanish but understood English from T.V and gymnastics class. I decided to put him in a part-time proram 2 days a week to start him slowly.We talked to him about the essential words “potty, thirsty, etc. I communicated alot with the teacher and expressed my concerns about the language barrier and to my surprise she said he would talk to her in English. He wasn’t lost at all like I feared (not more than any of the other kids starting school) After about a week or so he began speaking English alot, now he is 4 and still goes to Preschool and is talking English alot more and for a while resisted speaking Spanish, he wondered why he needed to speach Spanish if no one of his at school did. We talk to him alot about how bilingualism is a gift we are giving him and told him it is o.k to speak English at school but our language at home is Spanish. He liked that idea and that is what we are continuing to do, we don’t have any Spanish speakers in his class:( but their is boy who’s mother only talks to him in Korean so I take every opportunity to point that out to him. I now have him in 3 days a week and decidedto hold out on full-time until Kinder to give him a stronger Spanish base. So far so good. BestWishes!! I wish you best of luck, would love to hear how your little one continues doing! I don’t mean this in a mean way, I’m not here at your site to be mean or hateful, but I’m only expressing my point of view, and what thoughts went on in my head when reading this post. As you are residents of the US, I personally would be more concerned how not starting him early would effect his English speaking skills. As it being the primary language he will need to know in his future endeavors, I would focus on learning that first, and Spanish second. I notice a lot of kids whose primary language is Spanish suffer in school when it comes to reading comprehension, and English skills. Hi Renee, thanks for your honesty. One of our missions is to actually give the correct information when it comes to bilingualism. Study after study has proven that the earlier children learn a second language, the greater the cognitive benefits, including enhanced critical skills, reading, and even math and science skills. Children in the US will learn English no matter what we do. Us wanting them to learn and be fluent in another language does not mean we don’t want them to be fluent in English. We are actually doing our children a huge disservice by not teaching them languages until they are too old to even care and way past the optimal stage in their brain development. I really hope you do, because more and more people need to be aware of this. Actually she wasn’t making an argument against bilingualism, but questioning some of the techniques advocated here. 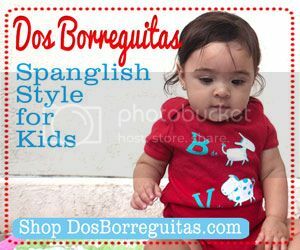 From what I have read on various threads on this site, English speaking people are intentionally raising their children to be native Spanish speakers, even if it means delaying preschool, or taking other measures to limit exposure to English until the child has reached a certain fluency in Spanish (or another language). I wonder what effect will that have on a child’s ability to become fluent in English, and what effect will it have on his future academic performance? You say that children will learn English no matter what we do, but I disagree. There are many children in America, especially immigrant children, who lack fluency in English, or who only know it at a very basic level. Hearing English on the playground and on TV is not enough. Furthermore, if children fall behind in school because they can’t keep up with native speakers, it affects their self-esteem. We live in an English speaking country and children will have to compete against native English speakers. Why make English your child’s second language if that doesn’t have to be the case? Why not establish a foundation in English, the language the child will need more than any other, and then introduce Spanish? One woman on another thread even said that her child needs a speech pathologist but because he is now a native Spanish speaker, she cannot find anybody qualified to work with him. Now her son is in a bind. thank you for your comment. first, I would like to make clear, I am not delaying pre-school for my child. I am wondering whether putting him in school at 2.5 or at 3.5, which is technically nursery school. My son would not be missing out on any formal or required education. I would explain why I prefer to teach my son Spanish before introducing him to English… first of all, there is no proof, studies or anecdotal, that I have heard of that point to a delay in English language skills if I speak to my son another language other first. As other people have commented, there is actually quite the opposite, vast research that shows the benefits of bilingualism, benefits that include more job opportunities, more opportunities in an increasingly globalized world, higher brain function, and even as a way to fend off Alzheimer’s! Second of all, as you stated, we live in a country where English is spoken. Consequentially, my son will be surrounded by English… he will automatically pick up English and will not have a problem with it. I am proof that this learning Spanish first does not hinder academic performance in English, and I know many people who can say the same. I also know parents who have not taught their children a second language and now regret it. Children are sponges, they absorb everything around them. I know my son is not confused, he understands when Papa says soemthing in French and when Mama says something in Spanish. There are many countries where children learn two languages from birth and perform quite well. I am sorry you do not see the advantage, I invite you to find out more information on the subject. Again, thank you for expressing your point of view. My argument was against delaying English language acquisition, not against bilingualism. As a child, did you have to compete in school (K-12) against native English speakers, or were you educated in another country? Do you speak English with an accent? In most cases one rarely speaks a second (or third) language as well as the first. In a competitive country like ours where people (especially Latinos) are judged according to how they speak, delaying English language acquisition is like playing with fire. I was first exposed to English in a school setting at 4 years old. Before that, i had spoken Spanish at home with some months of Spanish language preschool. I was not educated in another country, and in 2nd grade, i was in the 98th percentile for reading and vocabulary on the standardized tests. I was initially put in ESL but they realized that i did not need it, so I stopped going to the ESL class. Throughout middle school and high school, I was in the top 5 of my class (5 out of the whole class, not in the top 5 percent.) I did quite well in college too. I do not speak with an accent. I think, quite frankly, it is a bit prejudiced to think that I would speak with an accent only because I first spoke Spanish, or because my parents speak Spanish to me. Do you believe that all children who are in that situation will have accents throughout life? I know many people who learned Spanish first and do not have accents in English, and consider English their “first” language. From ages 5-22 my schooling was in English and to this day, English is my preferred language, the language I think in, the one I am more comfortable and fluent in. When i graduated college, I moved to Europe, and my language skills in Spanish helped me learn French (same roots in Latin) and also helped while i was traveling (not only to Spain, but to Italy and Romania as well, all Romance languages). I am near fluent in French, and in case you are wondering, I had nearly no accent when i lived in France. As Laura said, my concern is not “will Enzo be able to learn x language?” My concern is should I introduce English in a school setting at 2.5 , or should I wait another year and reinforce his Spanish and French skills before throwing English into the mix. Like Ana and many moms and dads who believe in the benefits of bilingualism, I truly believe that I would be doing my child a disservice by limiting him to English, when he can learn 3 languages, just at home! I learned English at 4, and that did not slow me down, or prevent me from going on to college and graduate school. I also lived in South America and Europe, and have used my language skills to work and study. What is not great about being able to move around to other parts of the world, and be able to communicate effectively, especially in this interconnected, globalized economy? That is what I want to share with my son. I believe the more languages a child can learn the better! The reality is that my son will be exposed to English probably 80% of the time when he gets older, so it will take determination and dedication to keep up other languages. Thankfully, there are other parents and sites like Spanglishbaby where we can support each other in this journey! renee, i don’t think her primary concern is her child not being able to learn one language or the other. it’s the introduction of the other language (English in this case) and how that will affect his other two languages. i’m not sure what your background is or if you have any experience with this, but when children are exposed to two or more languages at an early age, it is natural for them to think and speak and read in those languages. comprehension, reading skills and thought processes are all enhanced when a child has been taught more than one language. learning those other languages only enriches their learning and in no way hinders it. the author herself did not know any English when she went to pre-k at age 4 and she seems pretty competent in the English language to me. the author should most definitely NOT stop teaching her children the other two languages in favor of English as it will probably be a decision she regrets in the future. kids are amazing – their little brains have the capacity to learn more than one language when they’re young and each year that passes by, their ability to store that information becomes a little less. i also think this notion that people in the U.S. should only learn English is kind of outdated. sure, it is good to know English as a resident of the U.S. but the idea that someone should not be able to pass on their own cultural background to their kids just b/c they live here is antiquated. hi Laura! thank you for your comment! I agree with you– kids are amazing! They can learn so much!! Hi, I just wanted to congratulate you on the site, I had not seen a personal and professional approach to the education of bilingual kids and it is a topic I have been curious about for quite some time. Nice website, I will share this post on facebook, very interesting. The nice thing about french and spanish is that they are quite similar and thus there should not be any issues with Grammar or pronunciation for your kid. I think my case is different from others since both my husband and I are native Spanish speakers, have lived all our lives in Spanish speaking countries and came to the US just a year and a half ago. So my fears were the opposite of yours, that my daughter wouldn´t pick up English as soon as it was necessary. I sent her to nursery school at the age of almost 3 and it was a little difficult for her at first, since almost nobody at the school, save for a bilingual teacher that usually officiated as an interpreter for her, spoke Spanish. Despite that, she learned quite a few words and expressions in English and I taught her some, too. Since then we have moved to a Latino neighborhood (quite by chance I should say), so almost all the teachers at her new school are bilingual and many of her classmates have Hispanic parents, but lessons are always in English. She has a large vocabulary in Spanish and she has learned a lot in English, too. Since the language spoken at home is Spanish, she always communicates in Spanish first; but she watches videos in English and Spanish and we read to her both in English and Spanish. So Diana, don´t be afraid to send your child to nursery school, but it would be good if he could have at least a teacher or two that he can turn to and speak in Spanish if he has a problem or needs something. And continue to speak to your child in Spanish. As for the accent, I can tell you that my 4 year old daughter is already picking up a good American accent, even though my husband and I have a strong Spanish accent. Hope this helps. Just wanted to ad a little something. I have twin 3 1/2 year olds (boy and girl). I speak spanish to them and my husband english. They go to daycare twice a week for 6 hrs, english only. I only buy dvds that have the spanish version, but what I found quite helpful is the Disney Channel and some on Disney Jr. broadcast in SAP. If you go to your settings in your satellite or cable there is an option to change the language to pretty much anything. For the French lady that posted earlier there is an option for that, spanish and many others. Basically any channel that broadcasts in the SAP your able to get that language. Just thought I would let you know!